Brand reputation is one of the aspects that have been studied by many researchers in the past due to its significance in the performance of the organization. According to Suomi, (2015) brand reputation refers to the stakeholder’s overall assessment of the brand. As De Chernatony (1999) puts views it, brand reputation is a much stronger concept than its image as it considers perceptions across all stakeholder groups. Since brand reputation is about perceptions and assessments built across all the stakeholder groups, it is difficult to manage it. However, as Vidaver-Cohen (2007) views it, it is important to identify possible brand reputation predictors that are crucial in maintaining control and consistency and make strategic decisions that position the brand at the right place so as not to give in to pressure from the forces. The forces influencing a brand’s corporate image are broadly categorized into two, the external forces and internal forces. The report will adopt the framework by Knoepfel (2011) in its bid to identify and explore the forces driving the corporate reputation of a brand. 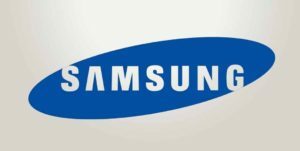 Since the report focuses on the reputation of Samsung Electronics Company which has been under sharp criticism, the framework by Knoepfel (2011) will be customized to the circumstances in which the Samsung Company has found itself in. The external factors affecting a brand’s reputation can best be approached through a PESTLE analysis. Every brand existing in the market operates in an environment that is influenced by political decisions in one way or the other. Politics of a given country largely determine the nature of trade existing in that country. The political leaders in different regions have been vested with the responsibility of building infrastructure and coming up with investment policies that will attract investors from other parts of the world to invest in that given country. The political class in the twenty first century has been observed to be at the forefront in negotiations with one another to allow different countries and regions to trade in commodities that are produced of manufactured in one country but not the other due to resource endowments. This leads to signing of treaties and other trading pacts that open way for apolitical companies to trade in these countries. The political class of any given country is entrusted with the making of a policy framework. A change of policy may affect the reputation of a brand significantly. The nature of politics playing in a given country or region has an impact on peace and stability of the country upon which businesses may thrive. A brand can effectively build its reputation when conditions for trade are favourable and this in many cases is in the hands of the political class. Other political aspects such as corruption have an impact on the brand reputation. A reputable brand is the one which is run with integrity and transparency even in a political dispensation that is marred with corruption. This brand will stand the test of time. Given that Samsung is a multinational brand operating all over the world; it is affected by local politics in the various countries it operates in and has maneuvered through to have a world–wide repute as a leading manufacturer of electronics. The macroeconomic factors such as the rate on inflation, the economic cycle and the economic growth of a given region or country have an impact on the reputation of a brand. During an economic depression, many businesses close and a brand that will remain and make adjustments that will see it serve its clients faithfully will earn reputation. The economic factors lead to market segmentation whereby different companies come up with various types of brand items to suit the given economic niche without overstretching them. A company that studies the purchasing power of a given region and then designs a product that will meet their needs at a price affordable to them will definitely earn reputation in that particular region. The tax policies as well as the duty levied on the brand have an impact on the reputation brand as they are important in the determination of the price which has an impact on the reputation of the brand. Other economic factors such as the GDP per capita enable comparison between countries making it possible for the brand to adjust its policies accordingly to suit the needs of the locals in that particular country or people. Samsung has achieved this by designing products suited different segments of customers depending on the affordability which is determined by the GDP per capita. The social trends in a given region determine the attitudes, tastes and preferences and ultimately influence the demand as well as supply of a given brand in that region. A reputable brand monitors the social trends and repositions itself well to the ever changing needs and expectations from people. The changes in demographic characteristics of a population have an impact on the kind of brand that will be acceptable in a given region. A youthful population has different expectations from an aging population and the organization should consider these factors when designing their brand as the most reputable brand will be the one which meets everybody’s expectations. Samsung has different various ranges of its products that meet both demographic groups hence emerging as a reputable brand for many years in many parts of the world (McGee, Thomas & Wilson, 2010). The technology behind the brand is an important factor determining the reputation earned by a brand. A reputable brand has to embrace innovative technologies in solving people’s problems. By proper use of technology, the production of given product can be done cheaply hence getting a competitive advantage in terms of price over other players in the market. Technology changes rapidly and may render a brand obsolete within a very short period of time (McGee, Thomas & Wilson, 2010). It follows that, only a brand that is vigilant enough and keeps updating itself with the current technological developments in the market will be able to retain its repute even as technology keeps on changing. Samsung being in the electronics industry is technologically intense makes it spend a lot of time and resources in research and development so as to remain relevant in the market. Samsung has been innovative and remained a leader in the industry by producing innovative products enabling the brand to build its reputation over time. Environmental considerations have become one of the most important aspects that a brand should consider. A brand should consider the source of its materials and the impact that the extraction of the material leaves on the environment. A brand should consider the impact caused by the manufacturing process of its brand whether it contributes to environmental pollution and degradation, if this is the case, the organization should review its processes and adapt the use of technology to ensure that its manufacturing activities cause minimal damage to the environment in order to earn reputation that it is an eco-friendly brand (Campbell & Craig, 2005). A reputable brand invests in the environmental impact assessment to ensure that it’s manufacturing activities, use as well as dispose causes minimal environmental hazards like pollution and degradation. Samsung company has achieved this by coming up with technology that ensures its manufacturing activities cause minimum harm to the environment. It contributes immensely to environmental conservation through its corporate social responsibility and this has earned the brand reputation as an environmentally conscious brand in the electronics market. A reputable brand should hire highly qualified members of staff who will propel its research and development to come up with highly innovative designs of the brand that will ensure that the brand reputation is intact. A well informed workforce will institute recovery mechanisms that can transform a brand whose reputation is being questioned and restore the confidence of the members of the public in the brand. An organization which has made deliberate efforts to maintain the highest level of integrity at all levels of its operations can be said to have laid building blocks upon which its brand reputation will be based. Organizational malpractices like corruption and use of shortcuts to achieve results affect the reputation of the brand negatively as it is considered a product of these organizational malpractices and people of integrity out there may not want to be associated with it. Samsung experienced one of the most discussed technological failures in 2016 that made one of its devices Galaxy Note 7 Smartphone recalled from the market. The company has at the moment stopped the production of the Galaxy Note 7 smartphone after its faulty batteries reportedly caused the devices to burst into flames when charging. The bursting of the Note 7 into flames was due to two battery manufacturing blunders. First, the size of the battery: It was established that the batteries made by Samsung’s SDI group were too small and squeezed in one corner. This caused the reported bending of electrodes leaving the device vulnerable to short-circuiting. Secondly, the batteries that were manufactured by a third party, Amperex Technology Limited were found to be incorrectly welded leaving points on the batteries in a provision to penetrate the protective insulating. These issues were identified by independent investigations that were spear-headed by three independent industry players who were tasked with the responsibility of identifying the root cause of the bursting of the Galaxy Note 7 into flames. According to the Instrumental’s investigation which had been done much earlier, the Galaxy Note 7’s battery did not leave enough room for error. The battery was made thinner by removing the thickness margins, leaving the lining separating the positive and negative layers very thin leaving chance for the two layers to get in contact causing sparks that finally make the smartphone burst into flames. The instrumental report also pointed out that when the battery changes, chemical processes take place that lead to migration causing the battery to mechanically swell and this requires a bit more space to compensate for the movement but the Galaxy Note 7’s battery entirely fits its pocket leading to increased risks of explosion. After recalling the Galaxy Note 7 and replacing them, Samsung’s trouble doubled after the replacement started emitting smoke in a US plane, the South West Airlines leading to evacuation of passengers. The device had been replaced after Samsung had issued a notice to all holders of the Galaxy Note 7 to return them for replacement. In October 2016, the Samsung Company decided to halt the production of this smartphone to pave way for reviews on the safety issues that were arising again. However, this decision to stop the production of the Galaxy Note 7 has not been revoked as it is still not being manufactured up to date. Samsung made a decision to exchange the Galaxy note 7 with its Galaxy S7 or S7 edge and a $25 gift card or credit. Alternatively, owners were to get full refund at their various points of purchase. However, not everybody returned forcing the company to switch off network for the devices that were still operational in New Zealand. The Galaxy Note 7 bursting crisis has adversely affected the image of the company as an innovative technology company that pioneered the manufacture of smart phones. The image crisis is a big blow to the company as it came when its rival, Apple has announced its iphone 7 ranges and Google has made public its plans to manufacture its own smartphones, the Google pixel. This shows that the competition is becoming stiffer when the credibility of Samsung is in doubt. After recalling over 2.5 million devices, Samsung recorded a decline in its sales volume followed by a revision of its target sales slicing it slightly by about 4%. The company should immediately institute mechanisms of collecting all units of Galaxy Note 7 already sold back. This can be done by asking the customers to return the devices to where they were bought or the nearest Samsung outlet whichever is close. The company should send messages and even switch off the network for those people who do not cede to the call of returning the device and ask them to return the devices to the company’s factory with an assurance that a replacement will be made with safer devices. The Samsung Company should make a sincere apology to its customers by writing directly to them as well as other communication channels such as print media. This is important as it shows that the company acknowledges the problem and it is honest to its clientele. The apology should categorically state the mechanisms that the company has put in place to address the situation. After asking the customers to return their devices to the company, they should be clearly advised of the company’s compensation strategy. The compensation strategies may include replacements with other devices for instance the Galaxy Note 7 could be exchanged with s7 edge with a small credit on top or full refunds. It is important to note that replacement strategy should only be carried out with tested product which is free from any faults. However, Samsung rushed with this decision and returned the faulty Galaxy Note 7 to customers; a move that aggravated the problem because the devices continued bursting this affected the trust of customers even more negatively than the initial bursting. A reputational audit is a scientific study that measures the perceptions of people about a certain brand. It is an investigation that seeks to measure the reputation of a brand across all stakeholders with the aim of helping the organization to regain its brand reputation. The company can adopt the Reptrak brand auditing system to measure its reputation (Cheverton, 2004). This is a scientific proprietary methodology that was developed by Reputation Institute to measure the reputation of a brand across all stakeholders in the industry even in different countries. It involves both quantitative auditing for audiences that can be sampled such as the general public or employees and qualitative auditing for limited audiences and where every contact counts like in media or politics (Reputation Institute, 2012). The Reptrak brand auditing system takes place in three steps including, the emotional bonding step also known as the reputational pulse which measures the strength of the link also known as bond between the target group and the organization, the rational assessment step also referred to as the reputational drives which evaluates how the target group justifies the existing level of bonding and the consequent behaviors stage also called the supportive behaviors which seeks to establish the way and the extent that the target group turns its attitude to the organization into concrete behaviors (Reputation Institute, 2012). The Reptrak brand auditing system helps to reduce the gap between how the stakeholders view the brand now and what they expect from the brand and where the brand wants to be in the future. This is done through rigorous research, tools as well as analytics that are designed to analyze perception and behavior (Reputation Institute, 2012). This is an important tool that is used to rebuild a tarnished brand reputation. This theory has been illustrated in various cases (Benoit, 2006, Benoit & Brinson 1999; Zhang & Benoit, 2004). Even with its limitations in terms of predictive power and causal inference the theory has been very instrumental in providing valuable insights as well as guidelines for crisis management practitioners (Coombs & Schmidt, 2000). The theory suggests five options for reputation defense including denial, evasion of responsibilities, reducing offensiveness of the event, corrective action and mortification (Jung, Graeff & Shim, 2011). A denial strategy tries to deny that the organization did was not involved in any wrong doing, the evasion of responsibility as a strategy denotes that the organization has limited responsibility and the incident was a as a result of an accident, reducing offensiveness of the act seeks to convince the stakeholders that damage caused was minimal and the crisis provides no sound threat, corrective action advocates for recovery from the current damage and prevention of the repetition of the crisis and finally mortification which is an acceptance of responsibility and requires the CEO to issue an apology to that effect (Jung, Graeff & Shim, 2011). The mortification option was taken in the recent incident whereby the Galaxy Note 7 could burst into flames. The CEO moved swiftly to accept responsibility and issued an apology to the customers promising that they will share the findings of the already initiated investigation into the incident. However, this incident was a bit different from another incident in 2007 whereby the company faced allegations about bribery. The company initially alleged that the wrong doing did not occur and downplayed the severity of the impropriety and instead focused on its contribution to the local as well as international economy, however mortification was applied at the end of the crisis when investigations were concluded. This strategy could not work as it happened in the hands of loyal customers and its denial could have disastrous impact on its reputation. The Samsung company should regularly conduct a SWOT analysis in order to identify is Strengths and utilize them effectively to again a competitive advantage, Weaknesses to point out areas of improvement in order to meet the customer’s expectation as well as offer them the experience, Opportunities so as to exploit them to the advantage of the company before any player in the market makes that move and Threats so as to identify potential problems and take preventive measures to avert impeding crises and losses (McGee, Thomas & Wilson, 2010). Benoit, W. L. (2006), Image repair in President Bush’s April 2004 news conference, Public Relations Review, 32, 137-143. Coombs, W. T., & Schmidt, L. (2000), An empirical analysis of image restoration: Texaco’s racism crisis, Journal of Public Relations Research, 12(2), 163-178.
de Chernatony, L. (1999),Brand management through narrowing the gap between brand identity and brand reputation. Journal of Marketing Management, Vol. 15 (1‒3), 157–179.